Press release: CCA selects Parallel Wireless to roll out its custom ALL G Open VRAN solution to its 100 carrier members across the USA. World’s First Virtualized Open RAN to Deliver Profitability and Cost-effectively Enable 4G Expansion and Migration to 5G. Parallel Wireless, Inc., the leader in providing the world’s first software-based unified end-to-end ALL G network solution (2G, 3G, 4G, and 5G) and Competitive Carriers Association (“CCA”), today announced a strategic partnership to provide network infrastructure for CCA’s carrier members to cost-effectively accelerate and enable their 4G expansion and 5G network migration to better serve rural America, businesses and consumers. 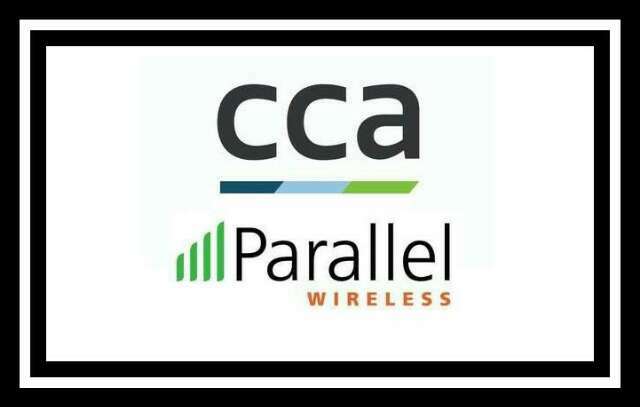 Parallel Wireless also is a CCA associate member. Parallel Wireless’s mission is to connect the 4 billion unconnected people by reimagining the cellular network. Its unified end-to-end 2G GSM, 3G UMTS, 4G LTE, and 5G Open RAN solution enables operators to deploy ALL G cellular networks with real-time SON as easily and as cost-effectively as enterprise Wi-Fi, whether for rural, enterprise, public safety, M2M, IoT, Smart Cities, or dense urban. The Company is engaged with many leading operators worldwide and has been named as a best performing vendor by Telefonica and Vodafone. Parallel Wireless’s innovation and excellence in multi-technology open virtualized RAN solutions has been recognized with 50+ industry awards. Connect with Parallel Wireless on LinkedIn and Twitter.